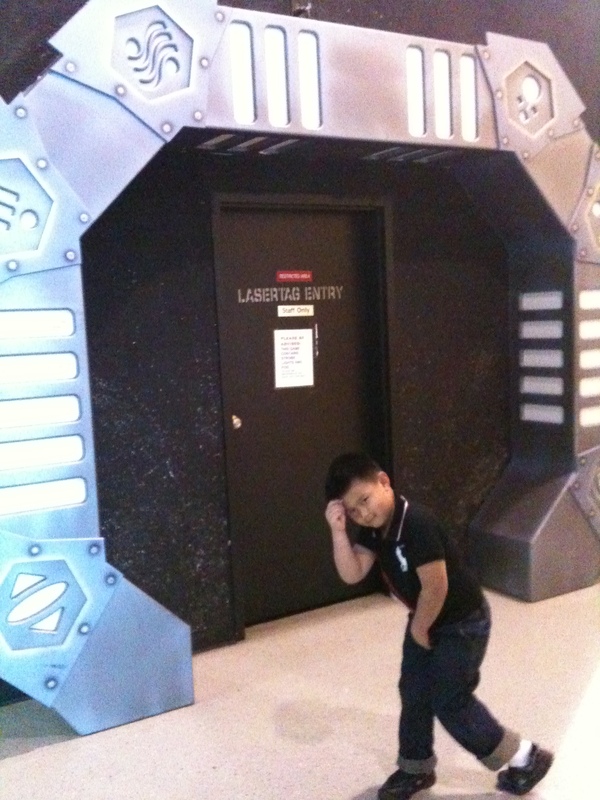 On Sunday December 4, 2011 we celebrated Tristan`s 7 birthday at LaserTown with 10 of his classmates… All boys. On the schedule was 20 minutes of Laser Tag, followed by Pizza and games, and then 20 more minutes of Laser Tag, followed by the customary `blowing of the cake`. One by one, Tristan`s little friends started trickling into the party with a big gift bag or present in hand. Tristan would graciously accept the gift, hand it to me and then pull each of his friends into the larger group of kids. Maria and I were pretty relieved that these boys were running amok inside LaserTown rather than our basement. Each parent would then quietly excuse themselves to get a 2-hour-break from their kid before returning to pick them up at 3pm. Once all 11 boys were present, the LaserTown Supervisor brought them into the Laser Chamber to get suited for their game. There was a Red Team and Blue Team, and each kid got to choose an Alias. Points were gained by each player depending on how many targets they hit. Maria and I were allowed to watch from the observation deck. Inside the LaserTownPlay Area was an endless maze where the boys could run and hide from one another before sneaking up and blasting each other from behind. The room was pitch dark with fluorescent purple lighting above and a mist of smoke and fog blowing about. Unfortunately it was too dark to videotape and we forgot our flash camera at home… The iPhone wasn`t sufficient enough. When it was cake time, the boys gathered around Tristan and sang him `Happy Birthday`. 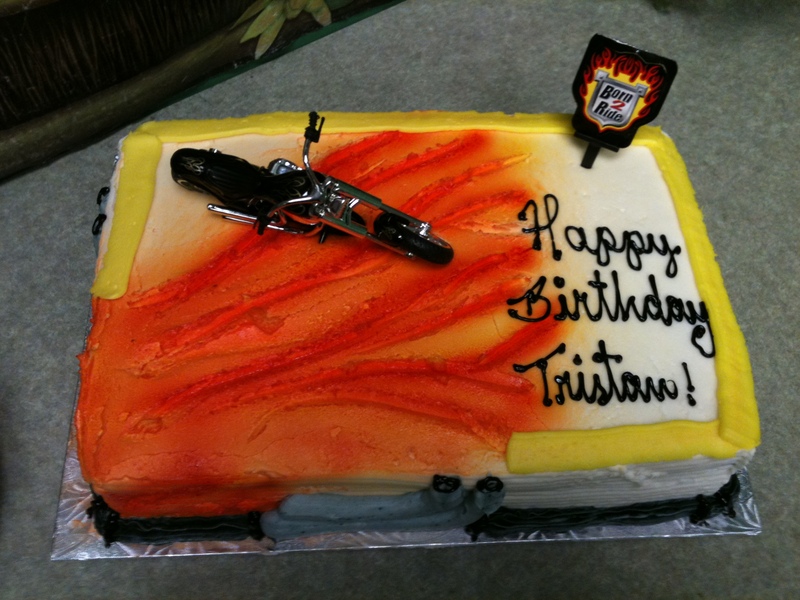 Everyone loved Tristan`s Motorcycle Cake and the Marvel Superhero Loot Bags that came with it. Overall, the party was a success. Tristan thanked us afterwards and told us it was the best party he`s ever been to… Just another day in the life of a Mississauga Chiropractor.